Khyber Pakhtunkhwa (abbreviated as KP; Urdu: خیبر پختونخوا‎; Pashto: خیبر پښتونخوا‎) is one of the four administrative provinces of Pakistan, located in the northwestern region of the country along the international border with Afghanistan. It was previously known as the North-West Frontier Province (NWFP) until 2010, and is known colloquially by various other names. Khyber Pakhtunkhwa's provincial capital and largest city is Peshawar, with Mardan being the second-largest. 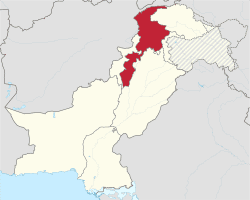 It shares borders with the Federally Administered Tribal Areas to the west; Gilgit–Baltistan to the northeast; Azad Kashmir, Islamabad and Punjab to the east and southeast. Khyber Pakhtunkhwa does not officially share a border with Balochistan, which instead borders Federally Administered Tribal Areas. Khyber Pakhtunkhwa also shares an international border with Afghanistan, to which the province is linked via the historic Khyber Pass. 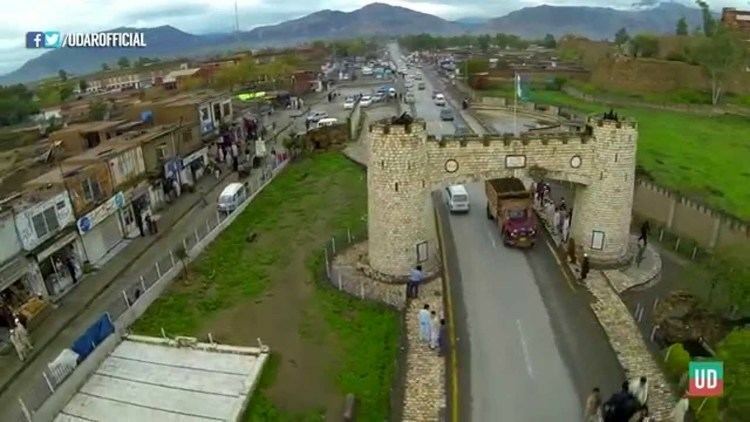 Khyber Pakhtunkhwa is the site of the ancient kingdom Gandhara, including the ruins of its capital, Pushkalavati, near modern day Charsadda, and the most prominent center of learning in the Peshawar Valley, Takht-i-Bahi. It has been under the suzerainty of the Persians, Greeks, Mauryans, Kushans, Shahis, Ghaznavids, Mughals, Afghanistan, Sikhs, and British Empire at various points throughout its long history. Khyber Pakhtunkhwa is the third-largest province of Pakistan by the size of both population and economy though it is geographically the smallest of four. It comprises 10.5% of Pakistan's economy, and is home to 11.9% of Pakistan's total population, with the majority of the province's inhabitants being Pashtuns, Hazarewal, Chitrali, and Kohistanis. Since the 9/11 attacks in the United States in 2001, the Khyber Pakhtunkhwa is a major theatre of militancy and terrorism which intensified when the Taliban began an unsuccessful attempt to seize the control of the province in 2004. With the launch of Zarb-e-Azb against the Taliban insurgency, the casualty and crime rates in the country as a whole dropped by 40.0% as compared to 2011–13, with even greater drops noted in Khyber Pakhtunkhwa, despite the province capital being the site of a massacre of schoolchildren on 16 December 2014. Khyber Pakhtunkhwa means "Khyber part of the land of Pakhtuns" while only the word Pakhtunkhwa means "Land of Pakhtuns" and according to some scholars it means "Pakhtun culture and society". When the British established it as a province, they called it "North West Frontier Province" (abbreviated as NWFP) due to its relative location being in north west of their Indian Empire. After independence of Pakistan, Pakistan continued with this name but a Pakhtun nationalist party, Awami National Party demanded that the province name be changed to "Pakhtunkhwa". Their logic behind that demand was that Punjabi people, Sindhi people and Balochi people have their provinces named after their ethnicities but that is not the case for Pashtun people. Major political parties especially Pakistan Muslim League (N) were against that name since it was too similar to Bacha Khan's demand of separate nation "Pashtunistan". They wanted to name the province something other than which does not carry Pakhtun identity in it as there were other minor ethnicities living in the province especially Hindkowans who spoke Hindko dialect of Punjabi language thus the word Khyber was introduced with the name because it is the name of a major pass which connects Pakistan to Afghanistan. The ancient Indo-Aryan migration is believed to have taken place around 2000 BCE, when semi-nomadic peoples entered the Gangetic plains of India after having passed modern Khyber Pakhtunkhwa's Khyber Pass. 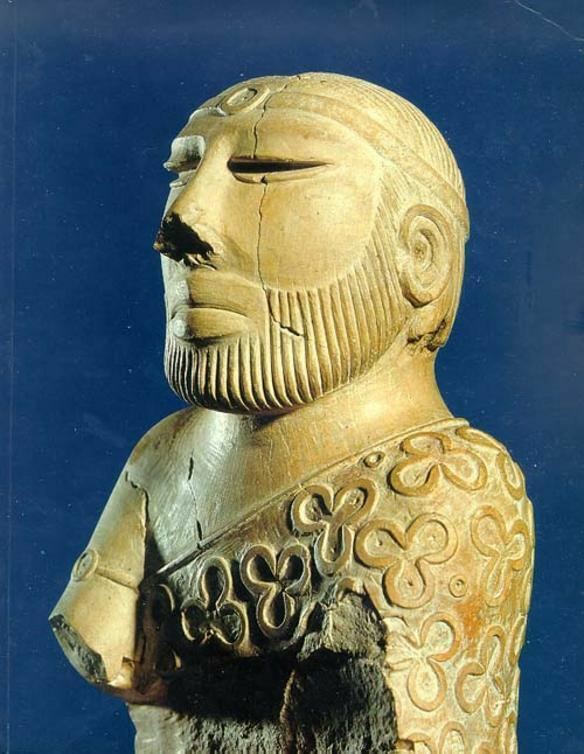 The Gandharan civilization, which reached its zenith between the sixth and first centuries BCE, and which features prominently in the Hindu epic poem, the Mahabharatha, had one of its cores over the modern Khyber Pakhtunkhwa province. In the spring of 327 BCE Alexander the Great crossed the Indian Caucasus (Hindu Kush) and advanced to Nicaea, where Omphis, king of Taxila and other chiefs joined him. Alexander then dispatched part of his force through the valley of the Kabul River, while he himself advanced into modern Khyber Pakhtunkhwa's Bajaur and Swat regions with his troops. Having defeated the Aspasians, from whom he took 40,000 prisoners and 230,000 oxen, Alexander crossed the Gouraios (Panjkora River) and entered into the territory of the Assakenoi - also in modern-day Khyber Pakhtunkhwa. Alexander then made Embolima (thought to be the region of Amb in Khyber Pakhtunkhwa) his base. The ancient region of Peukelaotis (modern Hashtnagar, 17 miles (27 km) north-west of Peshawar) submitted to the Greek invasion, leading to Nicanor, a Macedonian, being appointed satrap of the country west of the Indus, which includes the modern Khyber Pakhtunkhwa province. The Yueh-Chi were a race of nomads that were themselves forced southwards out of Central Asia by the nomadic Xiongnu people. The Kushan clan of the Yuek Chi seized vast swathes of territory under the rule of Kujula Kadphises. 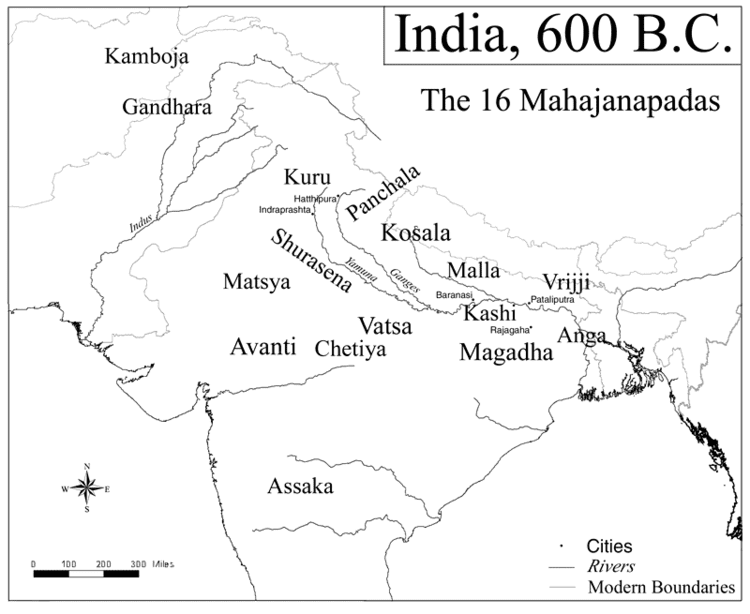 His successors, Vima Takto and Vima Kadphises, conquered the north-western portion of the Indian subcontinent. Vima Kadphises was then succeeded by his son, the legendary king Kanishka, who himself was succeeded by Huvishka, and Vasudeva I. Under the reign of Vasudeva, who abandoned Buddhism in favor of Hinduism, the dominions of the Kushan empire shrank to an area roughly approximating the boundaries of modern Khyber Pakhtunkhwa. During the early 1st millennium CE, prior to Muslim conquests, the Khyber Pakhtunkhwa region was ruled by the Shahi dynasty. The early Shahi kings were Buddhist, like their Kushan predecessors prior to the reign of Vasudeva. The later Shahi kings of Kabul and Gandhara were Hindu, and had strong ties to ruling dynasties in neighboring regions of modern Kashmir and Punjab. The Hindu Shahis are believed to have been a ruling elite of a predominantly Buddhist population and were thus patrons of Buddhism. Various artefacts and coins from their rule have been found that show evidence of their multicultural domain. By the time the Chinese monk Xuanzang visited the region early in the 7th century, the region was ruled by affiliates of the Shahi kings, but was no longer under direct rule of the Shahis, whose efforts were focused on regions to the east of modern Khyber Pakhtunkhwa. Shahi suzerainty continued in the region until 870 CE when local noblemen began to carve out their own fiefdoms largely independent of Shahi control, but nominally subservient to the Shahi dynasty. The remnants of Shahi rule were wiped out by Mahmud of Ghazni after the defeat of Jayapala at the Battle of Peshawar on November 27, 1001. When Ghazni arrived in the region, Buddhism was the prominent religion. Pastuns began settling in modern day Khyber pakhtunkawa after its conquest by Mahmud Ghazni from Central Asia. In 11th century AD, Dilazak tribe of Afghans, from Karlanri division, migrated from Eastern Afghanistan and settled in the plain of Peshawar by crossing Khyber pass. Dardic tribes converted to Islam, while retaining some local traditions. Vestiges of Shamanism are still to be found in the Chitral Valley, where the Kalash people still practice their pre-Islamic faith. Between 963 and 1187 CE, the area of modern Khyber Pakhtunkhwa became part of larger Islamic empires, including the Ghaznavid Empire (975-1187), headed by Sultan Mahmud of Ghazni, and the empire of Muhammad Shahabuddin Ghauri (reigned 1202–1206). The Ghaznavid domain included large swathes of modern Afghanistan, Pakistan, and India. It was ruled from its capital at Lahore from 1151 to 1186. Following the collapse of Ghaznavid rule, local Pashtuns of the Delhi Sultanate controlled the region. Several Turkic and Pashtun dynasties ruled from Delhi, having shifted their capital from Lahore to Delhi. Several Muslim dynasties ruled modern Khyber Pakhtunkhwa during the Delhi Sultanate period: the Mamluk dynasty (1206–90), the Khilji dynasty (1290–1320), the Tughlaq dynasty (1320–1413), the Sayyid dynasty (1414–51), and the Lodi dynasty (1451–1526). Under the reign of Babar's son, Humayun, direct Mughal rule was briefly challenged with the rise of the Pashtun king, Sher Shah Suri, who began construction of the famous Grand Trunk Road - which links Kabul, Afghanistan with Chittagong, Bangladesh over 2000 miles to the east. Later, local rulers once again pledged loyalty to the Mughal emperor. Referred to as the "Father of Pashto literature" and hailing from the city of Akora Khattak, the warrior-poet Khushal Khan Khattak actively participated in revolt against the Mughals, and became renowned for his poems that celebrated the rebellious Pashtun warriors. On 18 November 1738, Peshawar was captured from the Mughal governor Nawab Nasir Khan by the Safavid armies during the Persian invasion of the Mughal Empire under Nader Shah. During the chaotic post-Mughal period, Peshawar in 1747 was taken by Ahmad Shah Durrani, founder of the Afghan Durrani Empire, following a grand nine-day long meeting known as th Loya Jirga that took place after Nader Shah's death. 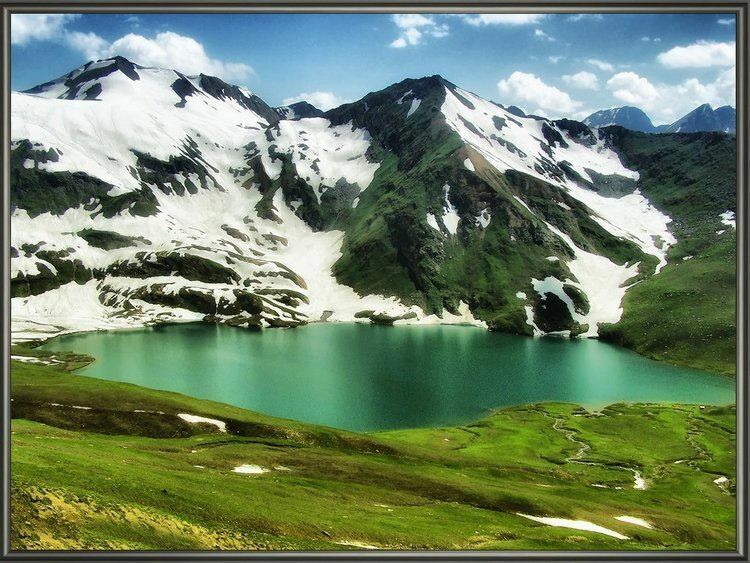 The area fell subsequently under the rule of Ahmed Shah Durrani, founder of the Durrani Empire. Muslim rule was interrupted by a brief invasion of the Hindu Marathas, who established a tenuous rule over the region from 1758 following the 1758 Battle of Peshawar. Durrani rule was re-established eleven months later in early 1759. Ranjit Singh invaded Peshawar in 1818 and captured it from the Durranis. The Sikh Empire based in Lahore did not immediately secure direct control of the Peshawar region, but rather paid nominal tribute to Jehandad Khan of Khattak, who was nominated by Ranjit Singh to be ruler of the region. The Sikh Empire annexed the Khyber Pakhtunkhwa region following advances from the armies of Hari Singh Nalwa An 1835 attempt by Dost Muhammad Khan to re-occupy Peshawar failed when his army declined to engage in combat with the Dal Khalsa. Dost Muhammad Khan's son, Mohammad Akbar Khan engaged with Sikh forces the Battle of Jamrud of 1837, resulting in the death of Hari Singh Nalwa. During Sikh rule, an Italian name Paolo Avitabile was appointed administrator of Peshawar, and is remembered for having unleashed a reign of fear there. The city's famous Mahabat Khan, built in 1630 in the Jeweler's Bazaar, was badly damaged and desecrated by the Sikh conquerors. Sikh settlers from Punjab were settled in the Khyber Pakhtunkhwa region. Peshawar's only remaining Gurdwaras were built by Hari Singh Nalwa to accommodate the newly-settle Sikhs. The Sikhs also rebuilt the Bala Hissar fort during their occupation of the Peshawar. British East India Company defeated the Sikhs during the Second Anglo-Sikh War in 1849, and incorporated small parts of the region into the Province of Punjab. While Peshawar was the site of a small mutiny against British during the Indian Rebellion of 1857, local Pashtun tribes throughout the region generally remained neutral and supportive of the British as they detested the Sikhs, in contrast to other parts of British India which rose up in revolt against the British. However, British control of parts of the region was routinely challenged by Wazir tribesmen in Waziristan and other Pashtun tribes, who resisted any foreign occupation until the British granted Pakistan its independence. By the late 19th century, the official boundaries of Khyber Pakhtunkhwa region still had not been defined as the region was still claimed by the Kingdom of Afghanistan. It was only in 1893 The British demarcated the boundary with Afghanistan under a treaty agreed to by the Afghan king, Abdur Rahman Khan, following the Second Anglo-Afghan War. Several princely states within the boundaries of the region were allowed to maintain their autonomy under the terms of maintaining friendly ties with the British. As the British war effort during World War One demanded the reallocation of resources from British India to the European war fronts, some tribesmen from Afghanistan crossed the Durand Line in 1917 to attack British posts in an attempt to gain territory and weaken the legitimacy of the border. The validity of the Durand Line, however, was re-affirmed in 1919 by the Afghan government with the signing of the Treaty of Rawalpindi, which ended the Third Anglo-Afghan War - a war in which Waziri tribesmen allied themselves with the forces of Afghanistan's King Amanullah in their resistance to British rule. The Wazirs and other tribes, taking advantage of instability on the frontier, continued to resist British occupation until 1920 - even after Afghanistan had signed a peace treaty with the British. British campaigns to subdue tribesmen along the Durand Line, as well as three Anglo-Afghan wars, made travel between Afghanistan and the densely populated heartlands of Khyber Pakhtunkwa increasingly difficult. The two regions were largely isolated from one another from the start of the Second Anglo-Afghan War in 1878 until the start of World War Two in 1939 when conflict along the Afghan frontier largely dissipated. Concurrently, the British continued their large public works projects in the region, and extended the Great Indian Peninsula Railway into the region, which connected the modern Khyber Pakhtunkhwa region to the plains of India to the east. Other projects, such as the Attock Bridge, Islamia College University, Khyber Railway, and establishment of cantonments in Peshawar, Kohat, Mardan, and Nowshera further cemented British rule in the region. In 1901, the British carved out the northwest portions of Punjab to create the Northwest Frontier Province (NWFP), which was renamed Khyber Pakhtunkhwa in 2010. Disassociation from Afghanistan, and increased connectivity to Punjab and the Gangetic Plains beyond Punjab, had a profound effect on Pashtun tribes living on the British side of the Durand Line. With few exception of the tribesmen living close to the border with Afghanistan, the vast majority of Pashtuns under British held areas increasingly viewed themselves as Indians, and found it easier to travel to Lahore and Delhi than to Kabul or Kandahar. Large numbers of Pashtuns also enlisted in the British Indian Army, and were stationed throughout British held territories in India and educated in the British Indian system, both of which helped to further re-orient the local population eastwards towards the heartlands of India. The in migration of Hindu and Sikh traders to the NWFP from India also strengthened cultural re-orientation towards British India. This dramatic shift in self-identification is epitomized the Khudai Khidmatgar movement of the popular Pashtun nationalist Abdul Ghaffar Khan, who non-violently campaigned for the independence of a united India, and not for joining Afghanistan. Further, no prominent leaders amongst the Pashtuns campaigned for unification with Afghanistan during the period preceding independence. The NWFP was granted limited home-rule by the British in 1937. Beginning in 1940, support for the Pakistan Movement, which sought the establishment of an Indian Muslim homeland, increased in the NWFP. During the Independence period there was a Congress-led ministry in the province, which was led by secular Pashtun leaders, including Abdul Ghaffar Khan, who preferred joining India instead of Pakistan. The secular Pashtun leadership was also of the view that if joining India was not an option then they should espouse the cause of an independent ethnic Pashtun state rather than Pakistan. The secular stance of Abdul Ghaffar Khan had driven a wedge between the ulama of the otherwise pro-Congress (and pro-Indian unity) Jamiat Ulema Hind (JUH) and Abdul Ghaffar Khan's Khudai Khidmatgars. The directives of the ulama in the province began to take on communal tones. The ulama saw the Hindus in the province as a 'threat' to Muslims. Accusations of molesting Muslim women were levelled at Hindu shopkeepers in Nowshera, a town where anti-Hindu sermons were delivered by maulvis. Tensions also rose in 1936 over the abduction of a Hindu girl in Bannu. Such controversies stirred up anti-Hindu sentiments amongst the province's Muslim population. By 1947 the majority of the ulama in the province began supporting the Muslim League's idea of Pakistan. Immediately prior to Pakistani independence from Britain in 1947, the British held a referendum in the NWFP to allow voters to choose between joining Pakistan or India. The referendum was held on 2 July 1947 while polling began on 6 July 1947 and the referendum results were made public on 20 July 1947. According to the official results, there were 572,798 registered voters out of which 289,244 (99.02%) votes were cast in favor of Pakistan while only 2874 (0.98%) were cast in favor of India. According to an estimate the total turnout for the referendum was only 15% less than the total turnout in the 1946 elections. At the same time a large number of Khudai Khidmatgar supporters boycotted the referendum and intimidation against Hindu and Sikh voters by supporters of the Pakistan Movement was also reported. Abdul Ghaffar Khan pledged allegiance to the new state of Pakistan in 1947, and thereafter abandoned his goal of a United India, in favor of supporting increased autonomy for the NWFP under Pakistani rule. He was subsequently arrested several times for his opposition to strong centralized rule. As the region came under British control, as had been agreed to by the Afghan government following the British victory over Afghanistan in the Second Anglo-Afghan War and after the treaty ending Third Anglo-Afghan War, no option was available to cede the territory to the rule of the Afghan king even though Afghanistan continued to claim the entire region as it was part of the Durrani Empire prior the conquest of the region by the Sikhs in 1818. By 1947 Pashtun nationalists were advocating for a united India, and no prominent voices advocated for a union with Afghanistan. Also in line with similar votes held throughout the British controlled territories in India, no option was accommodated for independence. However, all the princely states within the boundaries of the NWFP were allowed to maintain certain autonomy, but in 1970s most of the princely states were merged completely into Pakistan. After the independence of Pakistan in 1947, Afghanistan was the sole member of the United Nations to vote against Pakistan's accession to the UN because of Kabul's claim to the Pashtun territories on the Pakistani side of the Durand Line. Afghanistan's Loya Jirga of 1949 declared the Durand Line invalid, which led to border tensions with Pakistan, and decades of mistrust between the two states. Afghan governments have also periodically refused to recognize Pakistan's inheritance of British treaties regarding the region. During the 1950s, Afghanistan supported the secessionist Pushtunistan Movement, although it failed to gain substantial support amongst the population of the North-West Frontier Province. As a result of the Soviet invasion of Afghanistan in 1979, over five million Afghan refugees poured into Pakistan, mostly choosing to reside in the NWFP (as of 2007, nearly 3 million remained). The North-West Frontier Province became a base for the Afghan resistance fighters and the Deobandi ulama of the province played a significant role in the Afghan 'jihad', with Madrasa Haqqaniyya becoming a prominent organisational and networking base for the anti-Soviet Afghan fighters. The province remained heavily influenced by events in Afghanistan thereafter. The 1989-1992 Civil war in Afghanistan following the withdrawal of Soviet forces led to the rise of the Afghan Taliban, which had emerged in the border region between Afghanistan, Balochistan, and FATA as a formidable political force. In 2010 the province was renamed "Khyber Pakhtunkhwa." Protests arose among the local Hindkowan, Chitrali, Kohistani and Kalash populations over the name change, as they began to demand their own provinces. The hindkowans, kohistanis and chitralis are last remains of ancient Gandhari people and they jointly protested for preservation of their culture.Seven people were killed and 100 injured in protests on 11 April 2011. The Awami National Party sought to rename the province "Pakhtunkhwa", which translates to "Land of Pashtuns" in the Pashto language. The name change was largely opposed by non-Pashtuns, and by political parties such as the Pakistan Muslim League-N, who draw much of their support from non-Pashtun regions of the province, and by the Islamist Muttahida Majlis-e-Amal coalition. Khyber Pakhtunkhwa has been a site of militancy and terrorism that started after the attacks of September 11, 2001, and intensified when the Pakistani Taliban began an attempt to seize power in Pakistan starting in 2004. Armed conflict began in 2004, when tensions, rooted in the Pakistan Army's search for al-Qaeda fighters in Pakistan's mountainous Waziristan area (in the Federally Administered Tribal Areas), escalated into armed resistance. Fighting is ongoing between the Pakistani Army and armed militant groups such as the Tehrik-i-Taliban Pakistan (TTP), Jundallah, Lashkar-e-Islam (LeI), Tehreek-e-Nafaz-e-Shariat-e-Mohammadi (TNSM), al-Qaeda, and elements of organized crime have led to the deaths of over 50,000 Pakistanis since the country joined the U.S-led War on Terror, with Khyber Pakhtunkhwa being the site of most of the conflict. Urdu, being the national and official language, serves as a lingua franca for inter-ethnic communications, and sometimes Pashto and Urdu are the second and third languages among communities which speak other ethnic languages. English is co-official and also used in education, while Arabic is used for religious purposes and education. There is some population in Peshawar city who speak Persian since nineteenth century; this population saw an increase during 1980s and 1990s due to migration from Afghanistan. The table below shows the break-up of the province's first language speakers. Most of the inhabitants of Khyber Pakhtunkhwa profess Islam, with a Sunni majority and significant minorities of Shias and Ismailis. Many of the Kalasha of Southern Chitral still retain their ancient Animist/Shamanist religion. There are very small communities of Hindus, Christians and Sikhs. The Provincial Assembly is a unicameral legislature, which consists of 124 members elected to serve for a term of five years. Historically, the province perceived to be a stronghold of the ANP– a left-wing and pro-nationalist party. The Pakistan Peoples Party (PPP) also enjoyed considerable support in the province due to its socialist agenda. Khyber Pakhtunkhwa was thought to be another leftist region of the country after Sindh. A plurality of voters in the province elected one of Pakistan's only religiously-based provincial governments in 2002 during the period of military dictatorship of Pervez Musharraf. A ground-swell of anti-American sentiment after the 2001 United States invasion of Afghanistan contributed to the Islamist coalition's victory. The 2002 was also in context of a ban by Musharraf against extensive canvassing by Pakistan's two most popular political parties, the Pakistan Peoples Party and the Pakistan Muslim League, with the heads of both parties having been barred from participation in the elections. The MMA government introduced a range of social restrictions, though Islamic Shariah law was never fully enacted. Restrictions on public musical performances were introduced, as well as a ban prohibiting music to be played in public places as part of the "Prohibition of Dancing and Music Bill, 2005" – which led to the creation of a thriving underground music scene in Peshawar. The Islamist government also attempted to enforce compulsory hijab on women, and wished to enforce gender segregation in the province's educational institutions. The coalition further tried to prohibit male doctors from performing ultrasounds on women, and tried to close the province's cinemas. In 2005, the coalition successfully passed the "Prohibition of Use of Women in Photograph Bill, 2005," leading to the removal of all public advertisements that featured women. The religious coalition was swept out of power by the secular and leftist Awami National Party in the free elections of 2008 that took place after the fall of Musharraf, leading to the repeal of the Islamist social agenda. In 2013, the centre-right Pakistan Tehreek-e-Insaf was elected to power in the province. Public disapproval of ANP's leftist program integrated in civil administration and popular opposition against religious program promoted by the MMA swiftly shifted the province's leniency towards the right-wing spectrum led by the PTI in 2012. With PTI forming the government in 2013, the Khyber-Pakhtunkhwa serves as a stronghold of the rightist PTI and is perceived as right-wing spectrum of the country. In non-Pashtun areas, such as Attock, Abbottabad, and Hazara District, the PML(N), the centre-right party, enjoys considerable public support over economical and public policy issues and has a substantial vote bank. The Khyber Pakhtunkhwa executive branch consists of the Governor of Khyber Pakhtunkhwa appointed by President of Pakistan (subject to Prime Minister advice), Chief Minister of Khyber Pakhtunkhwa elected by Provincial Assembly of Khyber Pakhtunkhwa and Cabinet of Khyber Pakhtunkhwa appointed by Governor of Khyber Pakhtunkhwa (subject to Chief Minister advice). Khyber Pakhtunkhwa is divided into seven Divisions - Bannu, Dera Ismail Khan, Hazara, Kohat, Malakand, Mardan and Peshawar - each under an appointed Commissioner. The Divisions were abolished in 2000, but were restored after the 2008 election. The Divisions are subdivided into twenty-six districts, comprising twenty-one Settled Area Districts and five Provincially Administered Tribal Area (PATA) Districts. The administration of the PATA districts is vested in the President of Pakistan and the Governor of Khyber Pakhtunkhwa, by Articles 246 and 247 of the Constitution of Pakistan. After the 2008 general election, the Awami National Party formed a coalition provincial government with the Pakistan Peoples Party. The Awami National Party has its strongholds in the Pashtun areas of Pakistan, particularly in the Peshawar valley, while Karachi in Sindh has one of the largest Pashtun populations in the world—around 7 million by some estimates. In the 2008 election the ANP won two Sindh assembly seats in Karachi. The Awami National Party has been instrumental in fighting the Taliban. In the 2013 general election Pakistan Tehreek-e-Insaf won a majority in the provincial assembly and has now formed their government in coalition with Jamaat-e-Islami Pakistan. Cricket is the main sport played in Pakhtunkhwa. It has created world-class sportsmen like Shahid Afridi, Younis Khan and Umar Gul. Besides producing cricket players, Pakhtunkhwa has the honour of being the birthplace of many world-class squash players, including greats like Hashim Khan, Qamar Zaman, Jahangir Khan and Jansher Khan.